I have reviewed more than a few watches now. If you haven't noticed, they are all very different. Believe it or not, we wear them. Different outfits mean a different watch. This one really caught my eye. It is a great looking watch face, but the band is a bit different. I love it, but my husband doesn't care for it. 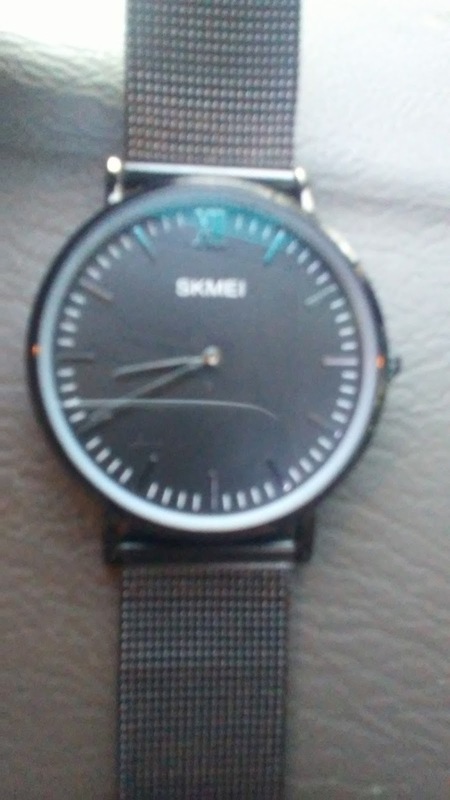 He explained to me, that it looked like a womans band, with a male's watch face. It even sparkles a little bit when in the right light. I can really see what he means. The watch itself is great though. It keeps time correctly. The black on black is a nice touch. The latch is a bit different and the band sometimes pulls your hair. 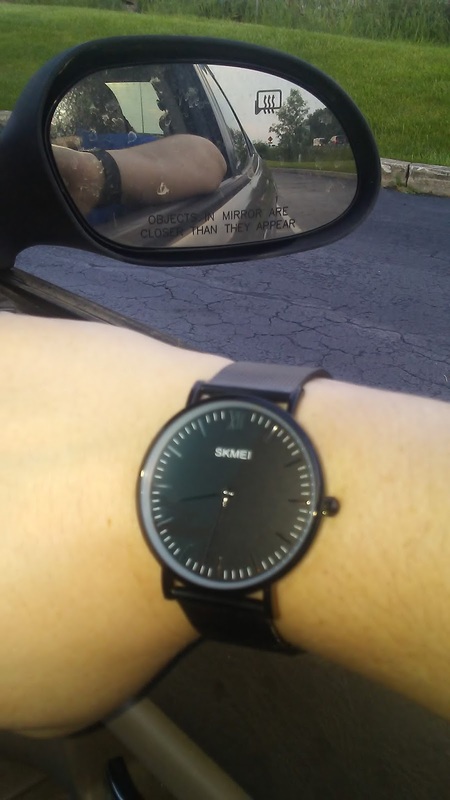 For the right man or woman, this watch is perfect. 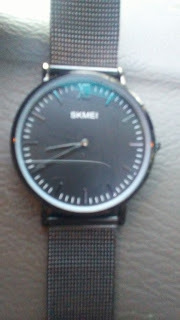 If this one isn't your thing, simply click the business name on Amazon to see some other watches, or scroll the blog.